Each month we send out a Power/mation Newsletter filled with new product information from our most trusted suppliers as well as company and industry updates. Scroll to the bottom and you'll find upcoming training, seminar and event schedules. Thanks for taking the time to read! Should you have suggestions or would like to see something in here that is currently not, please contact us. As of July 2016, Power/mation became the newest partner in ABB’s Process Automation Control Technologies (PACT) Program. As you know, ABB has been on our line card for years, but we now have the opportunity to provide the process automation division's products. As an ABB PACT Partner, Power/mation can offer you a complete solution of process automation products, to assist with your process control and monitoring applications. ABB has the one of the world’s leading installed base of process automation systems, giving you access to a diverse and globally accepted product line. These industries include oil and gas, chemicals, power, water, pulp and paper, metals, mining & minerals, cement, life sciences and food & beverage. ABB’s extensive training program readily equips our sales team and support staff with the ability to answer questions that you may have regarding your specific applications, providing tailored solutions to your needs. ABB provides you with a fully comprehensive range of Process Automation products and solutions. Freelance: The power and reliability of a Distributed Control System (DCS) ideal for all process industries. Compact Product Suite: A comprehensive suite of flexible and scalable control products for stand-alone solution that meets specific process automation needs. Essential Recorders & Controllers: Comprehensive family of process control products that provide high quality process loop control and data recording devices. Essential Safety: ABB’s Independent High Integrity Safety System is TUV Certified for Safety Integrity Level (SIL) 3 applications. Click here to for a complete list of the PACT product offering. 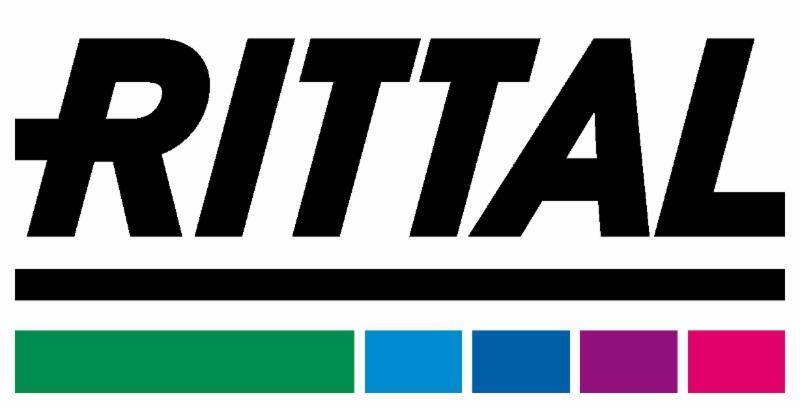 Rittal Corporation has been a trusted partner to Power/mation for years. It is because of our commitment to customer satisfaction and growth that we are able to proudly announce our Platinum Partnership with Rittal. From wall mount enclosures and freestanding enclosures to cooling units and busbar systems, Rittal and Power/mation can provide the solutions you need for your specific application. Our Platinum Partnership with Rittal means that we now offer our customers more competitive pricing and an even faster on-time delivery, with more Rittal products in stock at our warehouses. Additionally, we are able to provide enhanced technical support to our customers. Furthermore, the Platinum Partnership with Rittal cements our commitment to being your single source supplier for all of your automation needs. Click here for Rittal's website. This controller utilizes built-in digital and analog I/O, two high-speed counters (500kHz), dual 10/100MB Ethernet ports, two USB 2.0 ports and a 32GB microSD slot for application updates. The newest generation of QUINT Power supplies gives control engineers improved configuration and diagnostics to ensure reliable power to the control system. Phoenix Contact has added near-field communications, real-time monitoring, coordinated surge protection, and a configurable DC output characteristic to the proven QUINT Power line. Through the secure NFC interface, user-definable settings allow monitoring of real-time DC current, power, or voltage using a 4-20mA analog output. The QUINT Power supplies can also be made tamper-proof by locking out the push buttons on the front panel and creating a user-defined password. In addition, operating hours, DC Input voltage, overvoltage and temperature derating can also be monitored with dry contact outputs. The new generation continues the use of established QUINT features like Power Boost and Selective Fuse Breaking (SFB) technology. SFB technology delivers six times the rated current for up to 15 milliseconds to selectively trigger standard circuit breakers and GMA fuses. The static boost with up to 125 percent of the rated current is available at all times, allowing the system to be conveniently expanded. For starting heavy loads, the dynamic boost with up to 200 percent of the rated current for up to five seconds is also available. Click here for more info. 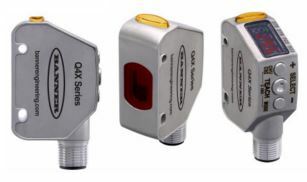 The versatile and rugged sensor offers the same performance of the standard Q4X and has a sensing range of 35 to 310 mm. Click here for all the details . 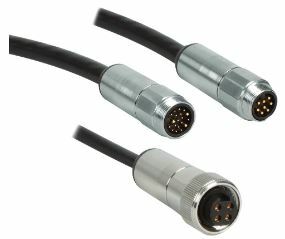 The new Turck Minifast HD cordset offering carries hazardous location approvals and is the first of its kind to offer an ATEX approved connector in a complete cable assembled package. This product includes mating ATEX approved receptacles, junction boxes and lockfast guards. RRAMAC's new data collection and reporting system for industrial equipment manufactures and end-users will combine Secomea’s SiteManager hardware and RRAMAC’s EdgeScout Remote Monitoring solution to create an advanced system, a one of a kind in the industrial marketplace. Secomea’s SiteManager hardware is part of the company’s Industry 4.0 Certified remote access solution, which is used by major machine builders and system integrators all over the world. 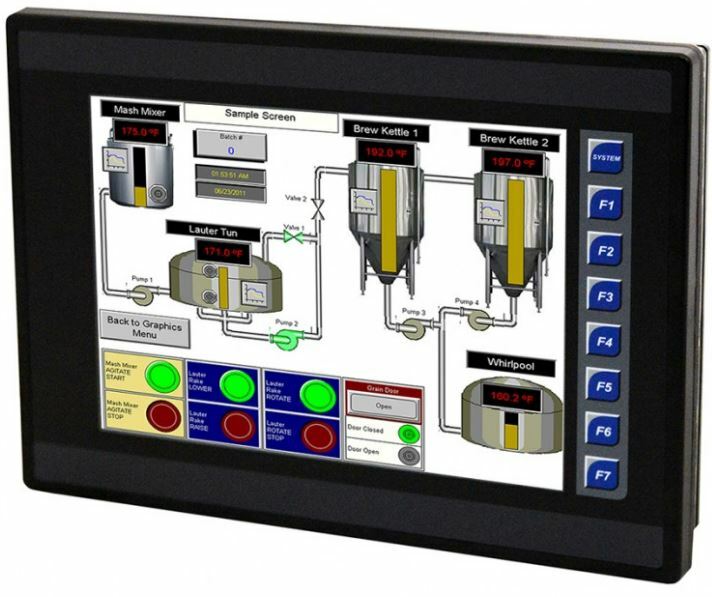 The solution consists of a software or hardware-based control unit that is installed at a factory, and a Web or Windows-based client operated by technicians or end-users. 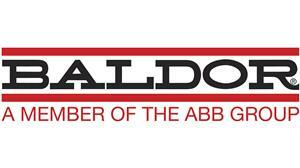 Baldor's RPM XE platform has the high performance features of the RPM AC design with increased energy savings of up to four levels above NEMA Premium efficiency. Available in both a power dense and standard NEMA design which offers drop-in replacement capabilities of today’s standard induction motor. Power/mation conducts customer training sessions and seminars and participates in pertinent trade shows on a regular basis. Check out our website to see a complete list of our upcoming schedule and to register. Greg Dulon, P/m sales rep, and his wife welcomed their first child in early September. Congrats Greg and family! Do You Have the Classic Traits of a Great Engineer?